This month we are pleased to welcome Richard Kelly, Chief Operating Officer of Make-A-Wish® Southern Florida, the fifth largest Make-A-Wish chapter in the world. Richard will talk about how his nonprofit—one of the most respected nonprofit organizations in South Florida—has been able to set itself apart from others. Key strategies he will discuss as part of his case study presentation include becoming their own content producers and creating news-gathering teams. 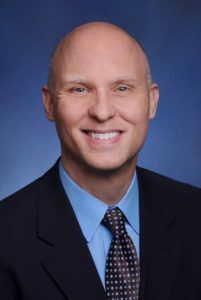 Richard joined the Make-A-Wish staff as director of special events in 1997, was promoted to Executive Vice President of Brand Advancement and Chapter Operations in 2006 and named COO in August 2017. Make-A-Wish® Southern Florida (www.sfla.wish.org, @makeawishsfla) has a sole mission: creating life-changing wishes for children with critical illnesses. Since 1983, the Southern Florida branch has granted more than 12,000 wishes and expects to grant more than 600 wishes this year alone. Networking begins at 8:30 am. Registration, networking and breakfast begins at 8:30 a.m. The presentation begins shortly after 9 a.m. Breakfast includes breakfast sandwiches, bakery, juice and coffee. *No-shows will be billed if no prior notice given and only checks accepted at the door. NOTE: To guarantee seating and meal, reserve online and pay through PayPal by FRIDAY, Feb. 22. No cash is accepted at the door. Checks are accepted and must be provided at the time of the featured event. No shows will be billed if no prior notice given.